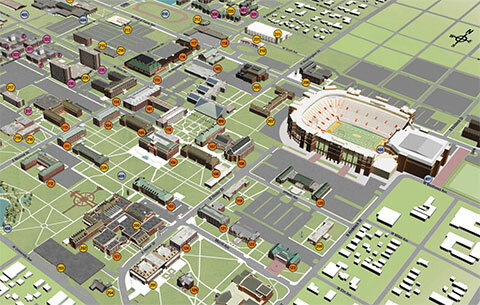 The online learning environment at OSU is called the Online Classroom. Within it is the Brightspace by D2L software with which instructors can post the online portions of traditional classes or teach fully online classes. Community sites are gathering spaces for functions that are academically related. Not every instructor chooses to use the Online Classroom. Instructors inform students if they use the Online Classroom when classes begin. Community sites are those set up for academically related activities, such as advising, interest groups, and departmental matters. Community sites will have its own folder alongside the listings of the semester folder on the first page of each account if the person has membership in the community. Sign in to the Online Classroom by going to http://my.okstate.edu using your O-Key credentials. Select the Online Classroom icon to open the application. The first page is called “My Home.” My Home is where you will access your courses either in the My Courses list or via “Select a course” in the topmost tool bar. Other topics and tools include Academic Integrity, Calendar, and eBooks. On the My Home page, you will see a section labeled “My Courses.” There, you will find your courses organized by semester folders. Open the semester folder by clicking the down arrow on the right side of the semester title. Click the course link to open the course home page. NOTE: You may see a folder called Communities if you are a member of a community that uses BrightSpace by D2L tools. Contact the Institute of Teaching and Learning Excellence at 405-744-1000.